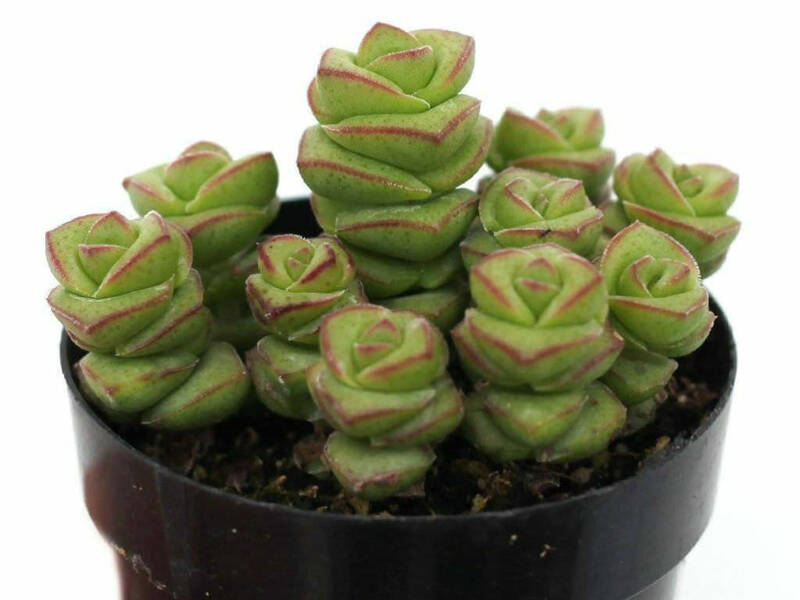 Crassula ‘Jade Necklace’ is a hybrid cross between Crassula perfoliata var. 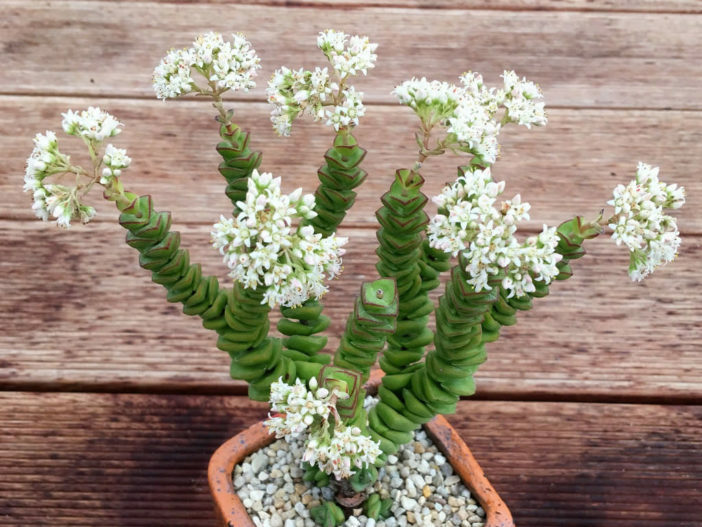 minor and Crassula rupestris subsp. 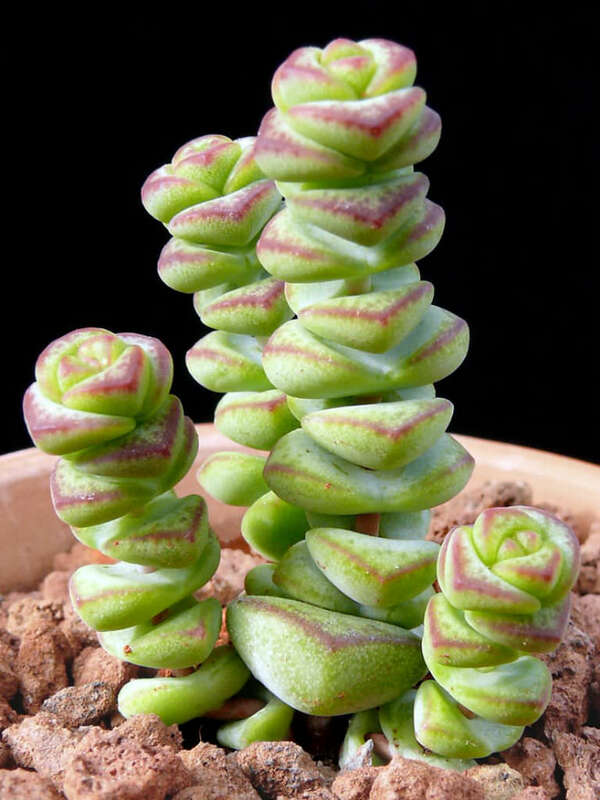 marnieriana. It is a fascinating succulent with stems that are densely clothed with jade green, red edged leaves and become capped by masses of large pinkish white flowers. 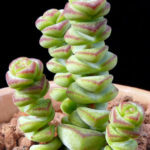 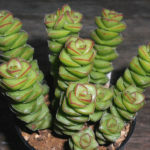 It is a hybrid cross between Crassula perfoliata var. 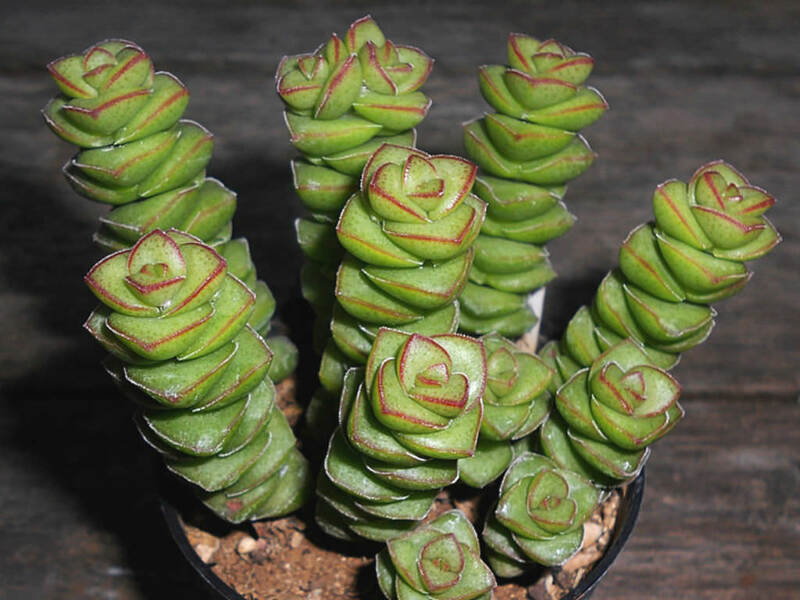 minor and Crassula rupestris subsp. 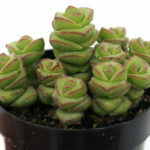 marnieriana.